Saga Cruises takes its British heritage very seriously. And so – in a nice touch – the cruise line has announced that eight of the suites onboard its upcoming ship, Spirit of Discovery, will be named after areas from BBC Radio 4’s iconic shipping forecast: Bailey, Fair Isle, FitzRoy, Hebrides, Humber, Lundy, Thames and Trafalgar. Plus, if that wasn’t enough, the line has also announced the ship’s top four suites will be named after key names from the company’s heritage. 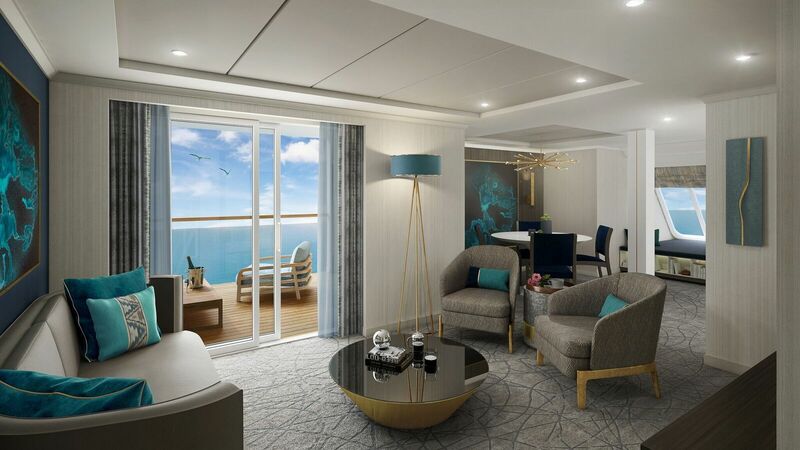 Saga’s chief operating officer Nigel Blanks said: ‘Naming the suites with an original, British maritime theme was one goal, but we also wanted to recognise our heritage and the important names in Saga Cruises’ own history. He also spoke about the thinking behind the top suites: ‘Saga Rose and Saga Ruby were Saga Cruises’ first two ships and are still fondly remembered by our guests, so The Rose Suite and The Ruby Suite have been named in their honour. Spirit of Discovery will be christened in Dover on 5 July 2019. Check out the gallery below for a first peek at what to expect from Saga’s first new-build ship.